Chloe Burn at the Poor Knights Marine Reserve. 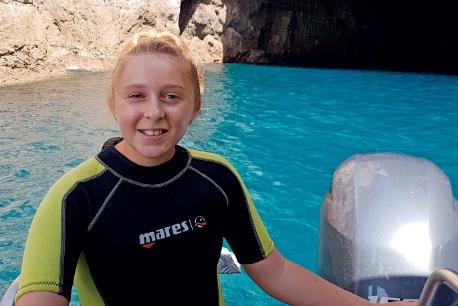 A combination of initiative and luck has landed 12-year-old Chloe Burn a weekend trip to the Poor Knights Marine Reserve. The trip was in recognition of her fundraising skills after she collected $2500 for Experiencing Marine Reserves via a talk at her parents’ Stoked Restaurant and Bar in Whitianga. “I did it because I’m a junior open water diver,” says Chloe. “I really enjoy marine life and I’m trying to get the community and the country to reduce the amount of single use plastics that they use. ”Experiencing Marine Reserves get as many schools as they can involved, says Chloe. “You get given tasks, to try to make an action project. Some of my schoolmates handed out flyers, and some did a beach clean-up. ”Fundraiser Chloe held the fundraiser at her parents’ restaurant complete with fact-sheets, posters and a slide show to demonstrate where the marine reserves are. “I got inspired to do it because most of the people in my class were thinking of doing stuff like it,” Chloe says. “But they didn’t have a chance because their parents didn’t own a restaurant!”On the night Chloe talked to a full house about how marine conservation affects everyone, why marine reserves are needed in New Zealand and how to reduce the amount of plastic people use. “Instead of using plastic bags, you could use reusable bags, and instead of single use coffee cups, use reusable ones,” says Chloe. “We are trying to reduce the amount of plastics that we use and we have been talking about how people simply drop plastic everywhere. Even if it is by accident, it still gets into the ocean and that does real damage. They also held an auction, with community sponsors donating items. “We raised $2500 for EMR during the night,” she says. Chloe also persuaded her parents to use metal straws at the restaurant instead of plastic ones. Experiencing Marine Reserves is a national programme of learning about marine conservation. 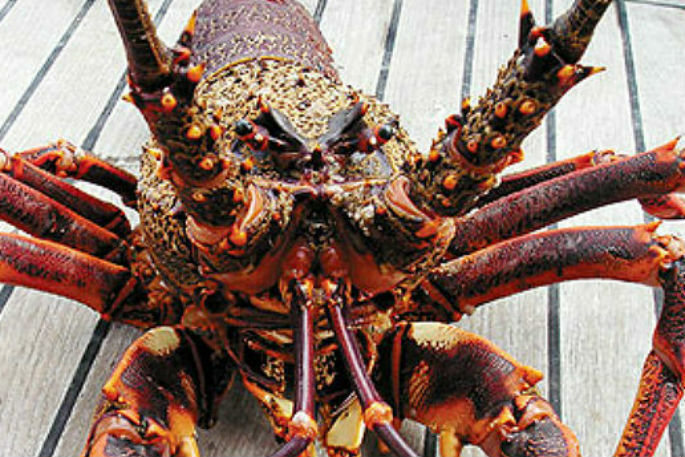 EMR’s independence, marine reserves focus and provision of a range of learning styles make it unique within New Zealand. Empowering communitiesIntroduced in Northland in 2002, EMR has expanded to eight regions, with a team of up to 30 coordinators nationwide. EMR empowers schools and communities by providing the equipment and expertise for a hands-on learning experience in the ocean. The programme involves investigating marine biodiversity and local marine environments before venturing to a fully-protected marine reserve. Chloe’s prize was a trip with her mum to the Poor Knights Marine Reserve, along with 14 other regional winners and parents. They could choose to either kayak, stand-up paddle board or snorkel, with most choosing to snorkel. “There were these huge snapper, and since it was a marine reserve there were a lot of fish,” says Chloe. “There was a lot of seaweed and there was an arch that we could swim through called Blue Mao Mao Arch. Along the side of the walls you could see hundreds of blue mao mao everywhere in the cave. “There were so many fish. It was a lot more than I have seen outside of a marine reserve. ”Chloe takes the ferry across from Whitianga to attend Whenuakite School on SH25, and the daily ferry trip has provided some ideas for the next project. “Sometimes, after a storm when I’m waiting for the ferry to come across, I can see oil tins and a lot of rubbish that’s been pushed into the wharf,” says Chloe. “We’ve paired up with Dive Zone at Whitianga. They said we could do a dive clean-up at the wharf. There’s so much plastic in there, so if we go down we could get quite a lot. “Last time they did it they got a bike, a shopping trolley and a lot of oil tins and plastic. Along with that, we are doing a beach clean-up for those people who don’t have their diver’s licence.